Seven Chakra Healing Crystals Bonded Wand is beauty to look at. 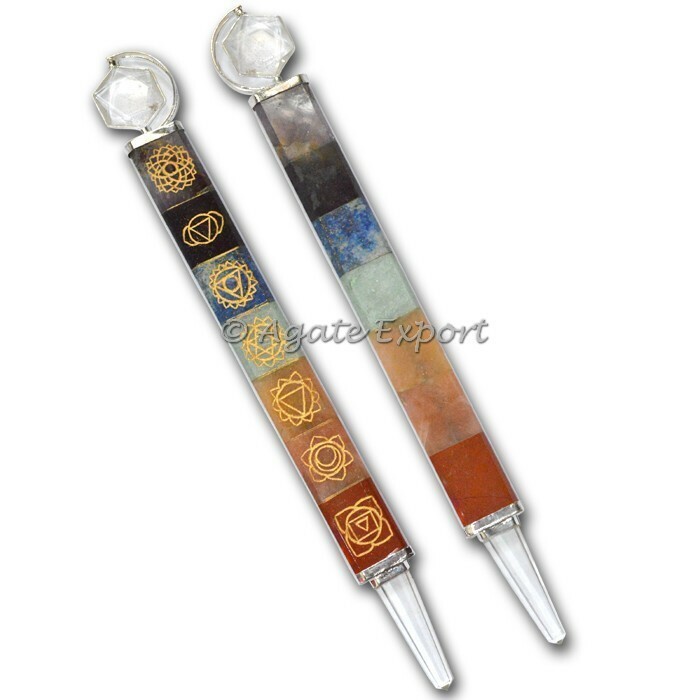 Besides its wonderful appearance it will help you to energize your body chakras and allow flow of life energy in the body. It is available on Agate Export. It is 3-3.5inch in size.